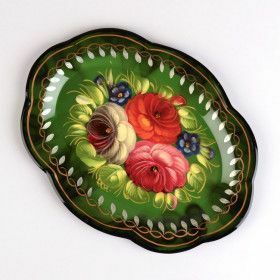 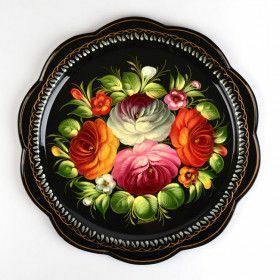 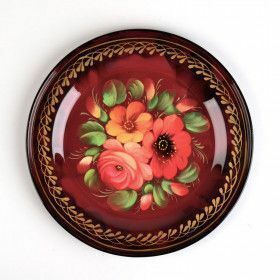 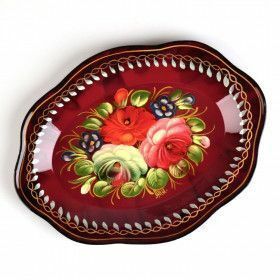 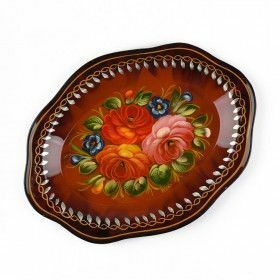 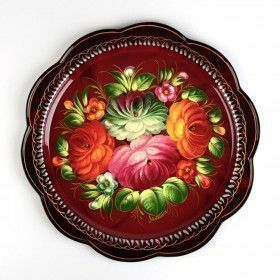 Today Russian Zhostovo trays are much more than merely tableware objects used to serve tea, snacks and fruits. 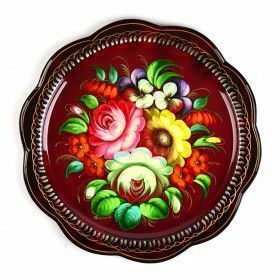 They are now used to decorate houses and as elaborate decorative panels and souvenirs that tell the story of life and happiness and passion of creating something exquisite. 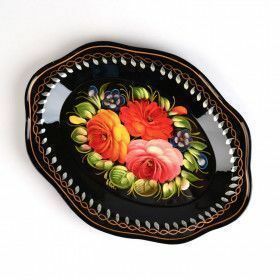 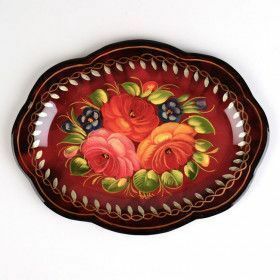 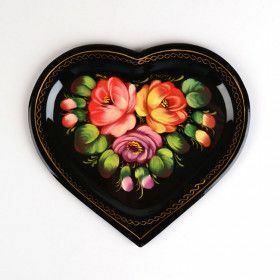 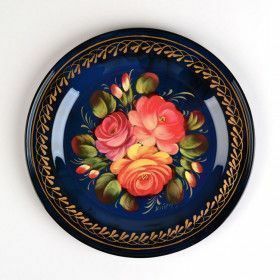 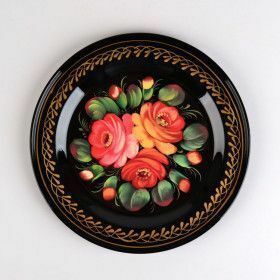 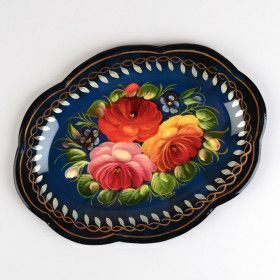 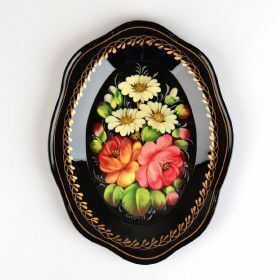 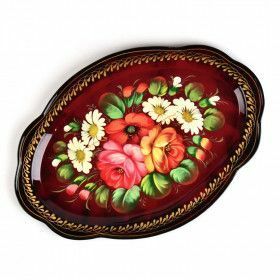 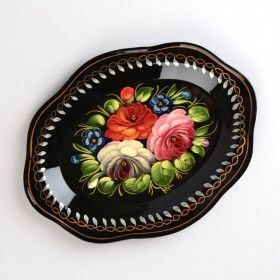 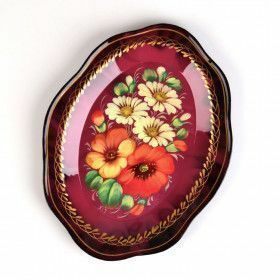 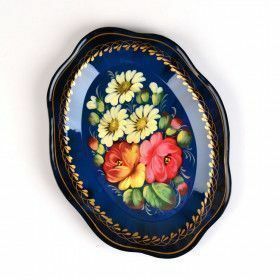 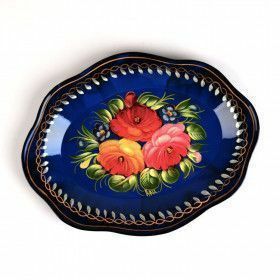 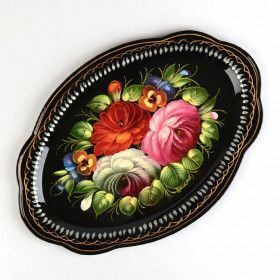 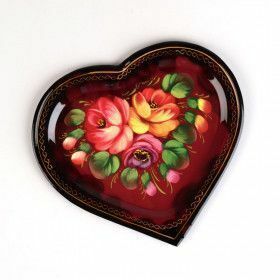 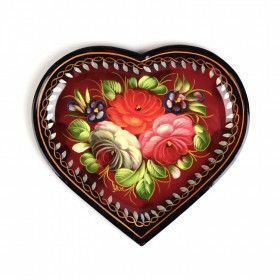 Russian Zhostovo tray are made of metal, hand painted and decorated.